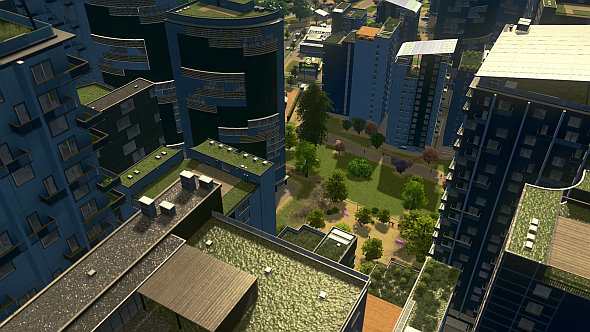 Cities: Skylines is getting a new expansion named Green Cities. It’s all about managing your town’s carbon footprint, like a responsible mayor. Speaking of responsible, Phil tried to play Slime Rancher as a vegan. It was very funny. Announced today at Gamescom, the expansion will add over 350 new assets, new scenarios, new policy options, new specialisation options, new unique buildings, new parks, and more. 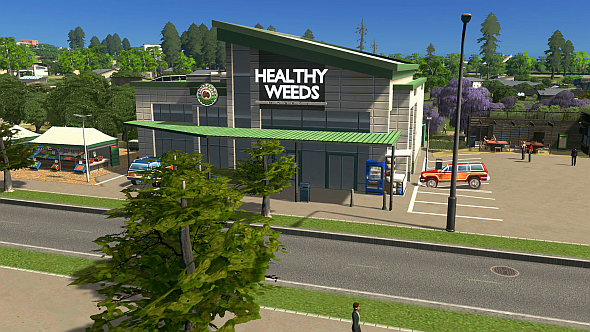 Based on the trailer, you’ll be able to add roof gardens and solar panels to practically every building type in the game, set up a new chain of Whole Foods-esque stores named ‘Healthy Weeds’, utilise renewable energy sources and electric vehicles, and give your city an ecological makeover. Developers Colossal Order are churning out DLC at quite the rate – theConcerts expansion only releasedlast week. As ever, Green Cities will come with a free content update for the base game, which will include electric cars, road modding, tweaks to noise pollution, new beautification options, and a few other things. For more on Green Cities, check out the product page on Steam or the Paradox Store. Paradox say it’ll set you back $12.99 – quite a bit more than the Concerts DLC – and will arrive later this year “via low-carbon-footprint digital delivery.” Quite right.